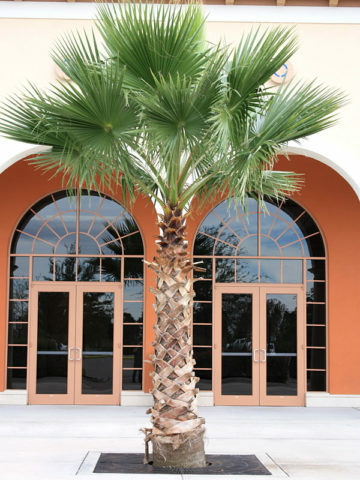 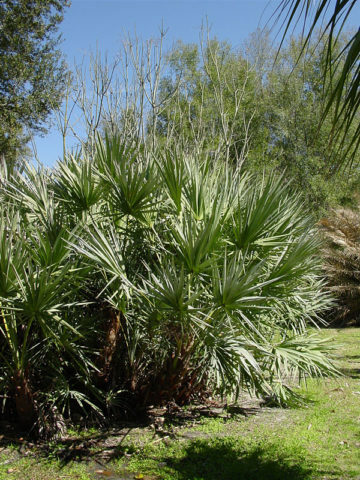 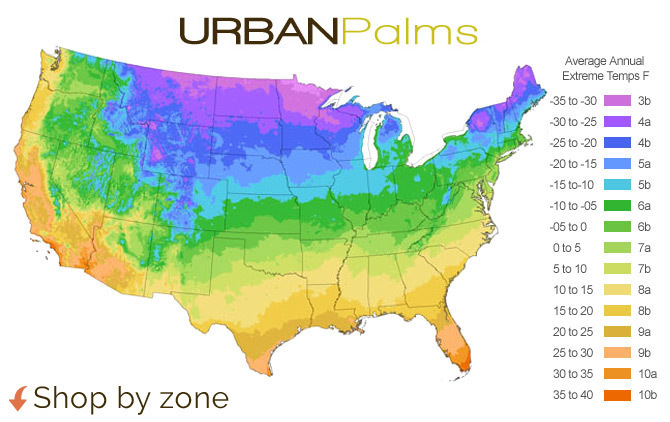 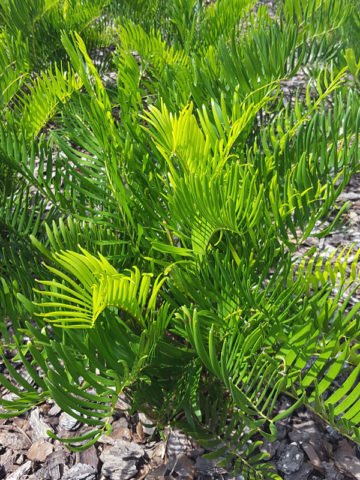 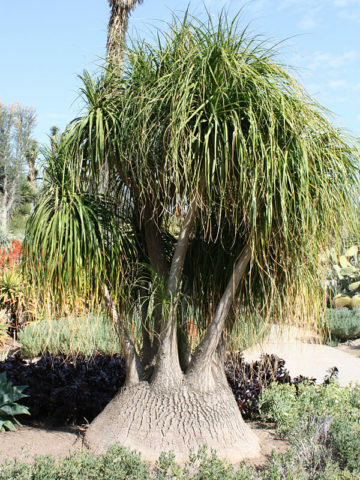 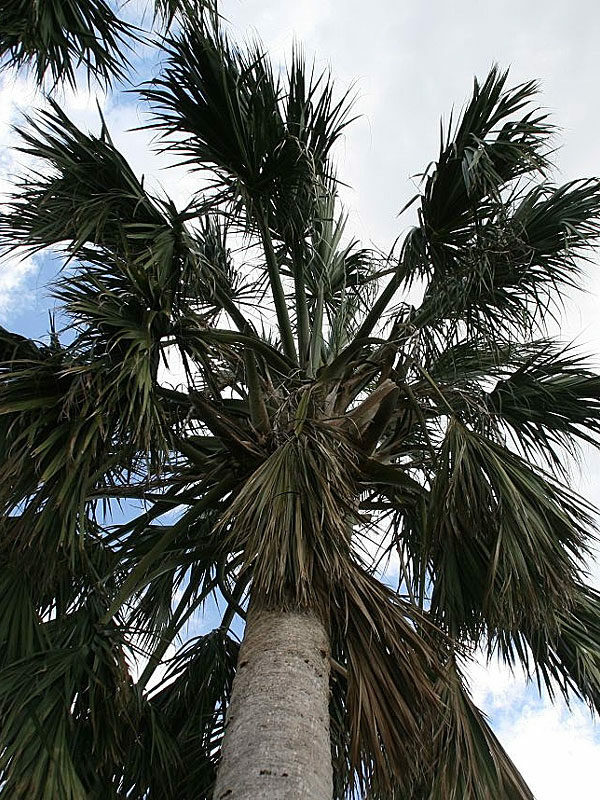 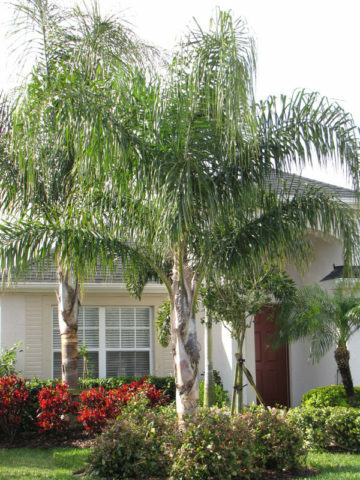 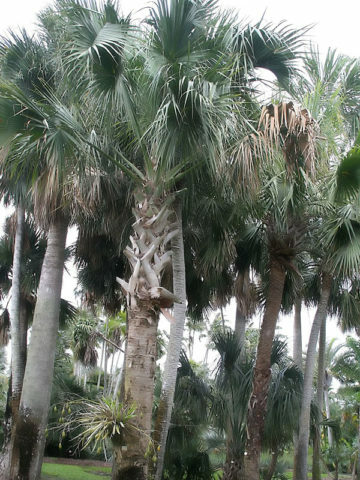 Tree (sabal domingensis) – The bigger brother to the Palmetto palm, the Hispaniola Palm has a large robust and stocky trunk that can attain 2 feet in diameter and reach as much as 60 feet tall. 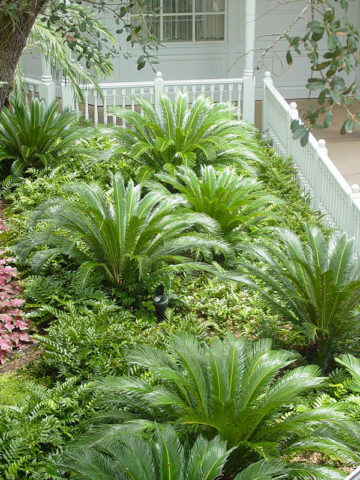 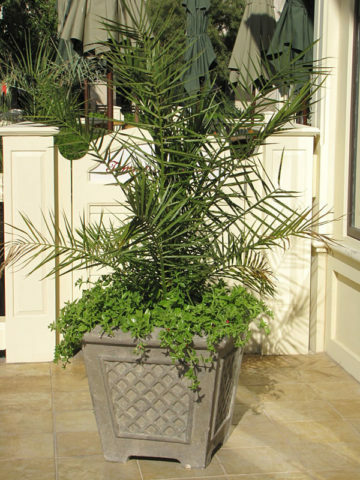 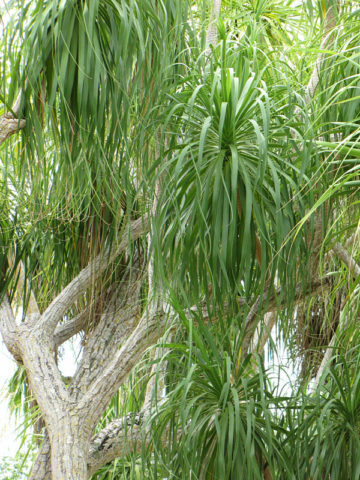 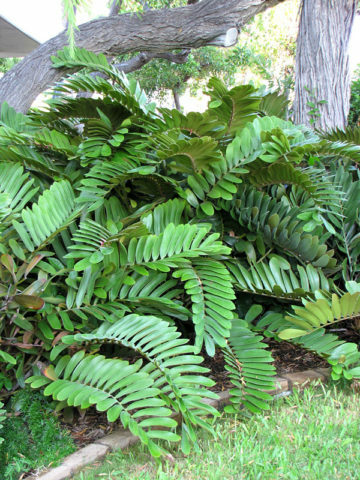 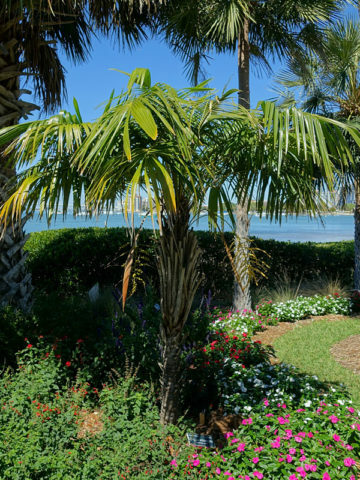 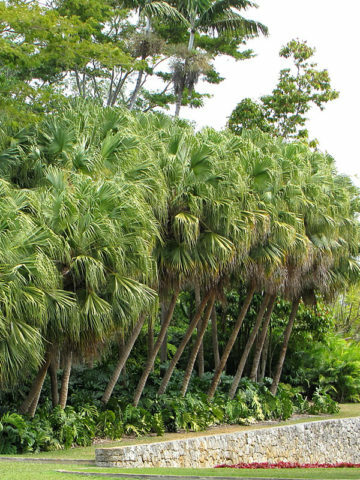 The canopy of the palm is a massive 20 to 25 feet across and consists of about 6 foot long stemmed fronds with 4 foot long leaves. 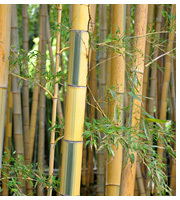 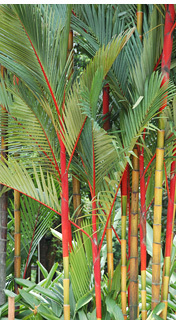 The segmented leaves are split half way down and the tips are divided in two providing a soft, graceful, draping appearance. 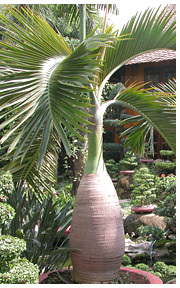 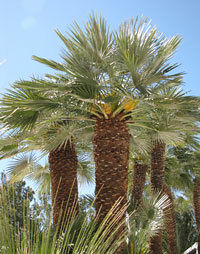 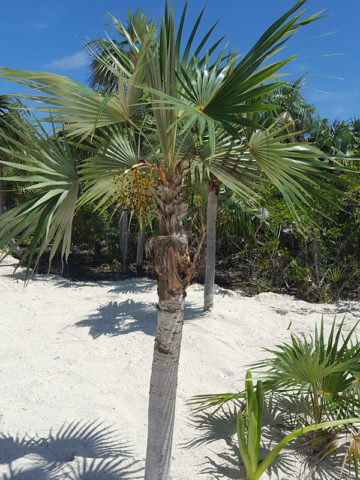 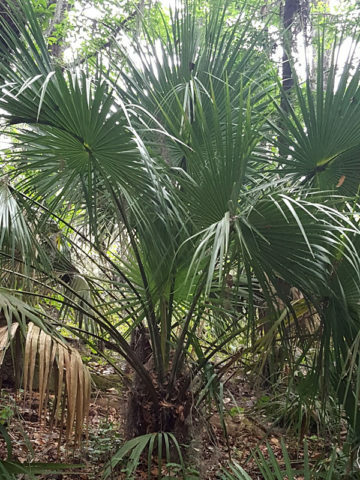 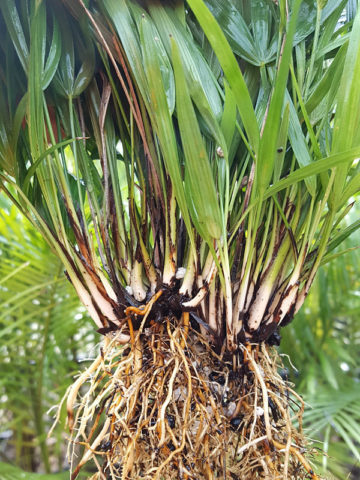 Once established this palm can grow at a rate of a foot a year.